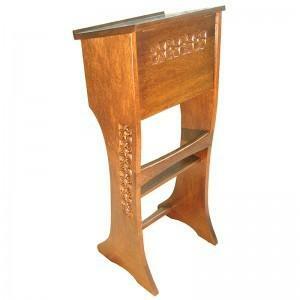 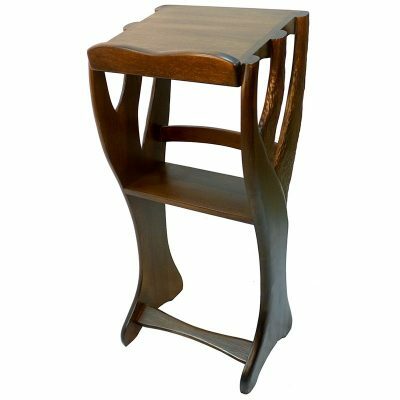 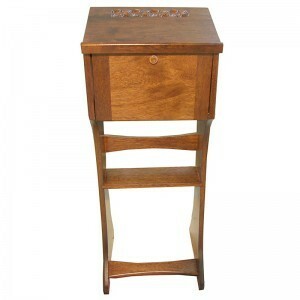 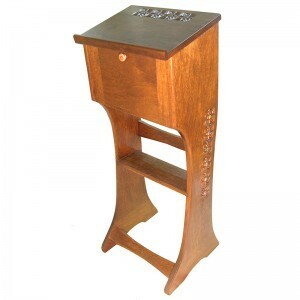 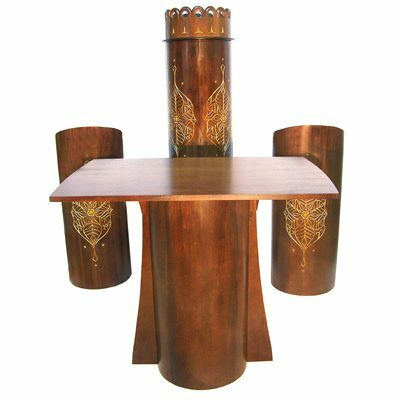 The twelve tribes shtender is built from solid African Walnut with a dark walnut finish. 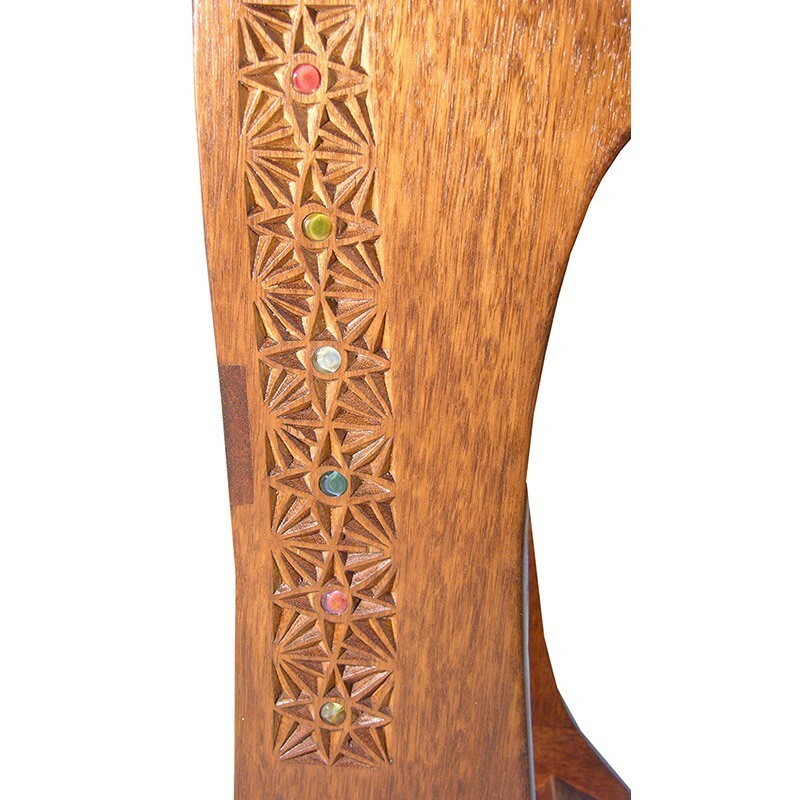 This Shtender is hand carved in pattern and inlaid with handmade glass representing the twelve tribes of Israel. 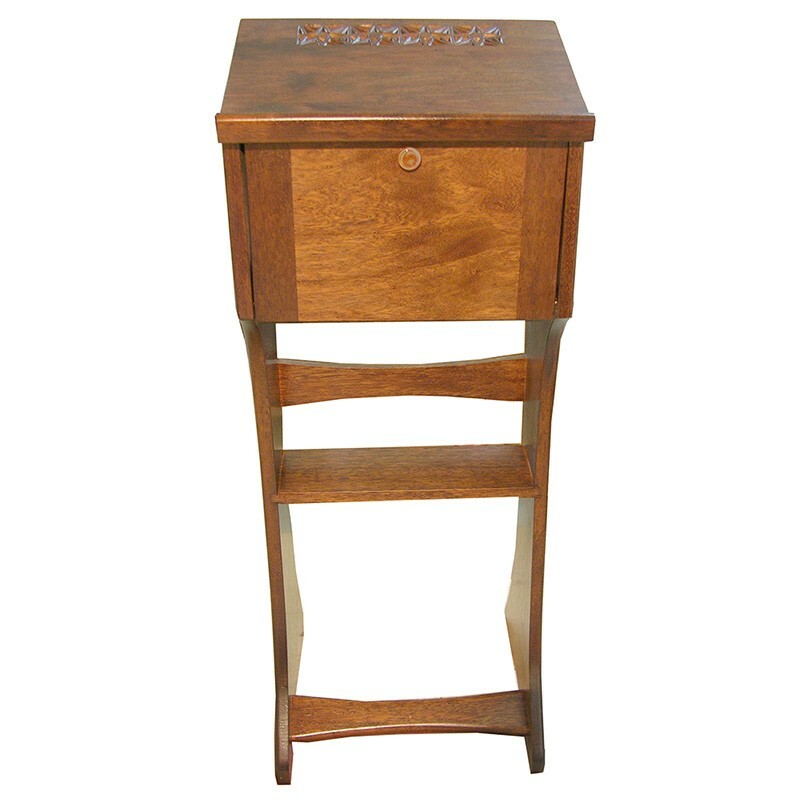 Drawer of lectern opens without hardware on inlayed invisible magnets to the perfect height for sitting. 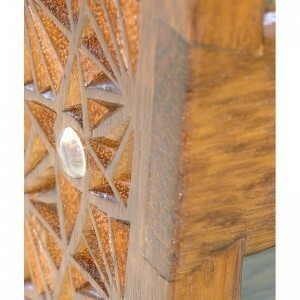 Podium features dovetail joints and your choice of hand carved designs and glass fittings. 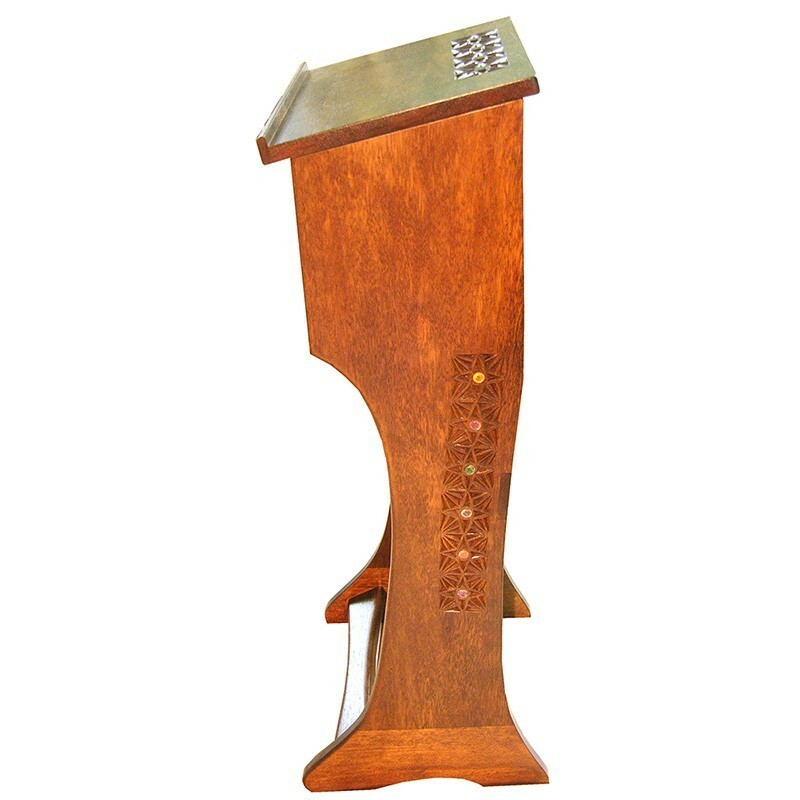 A real masterpiece. 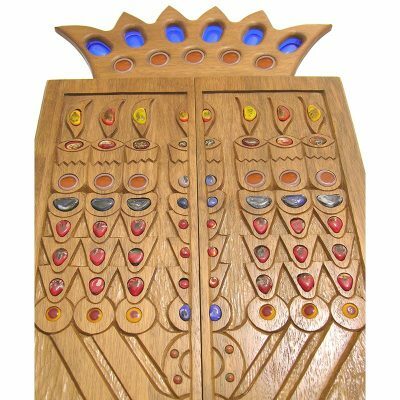 This solid wood shtender is beautifully hand carved and inlaid with hand made glass representing the jewels of the twelve tribes of Israel. 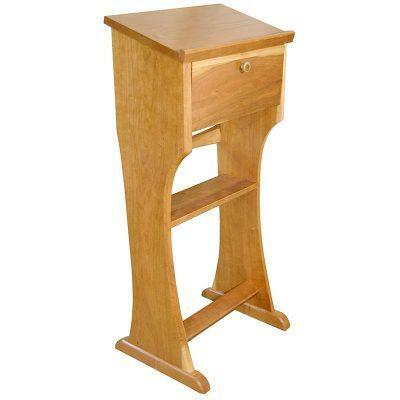 The joinery is strong and the finish durable. One version of this solid wood is currently for sale, and it is currently discounted greatly due to minor shipping damage which has been repaired. 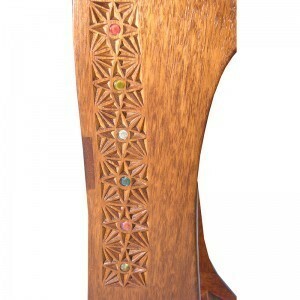 This design or other carving details can be customized at full price. Please inquire about the details of this shtender or other custom work.